Ideally, it would be really nice to be able to deploy to IIS using msdeploy. The current tooling for Dotnet Core doesn’t directly support this, though. But, we can get around this a bit with MSBuild. 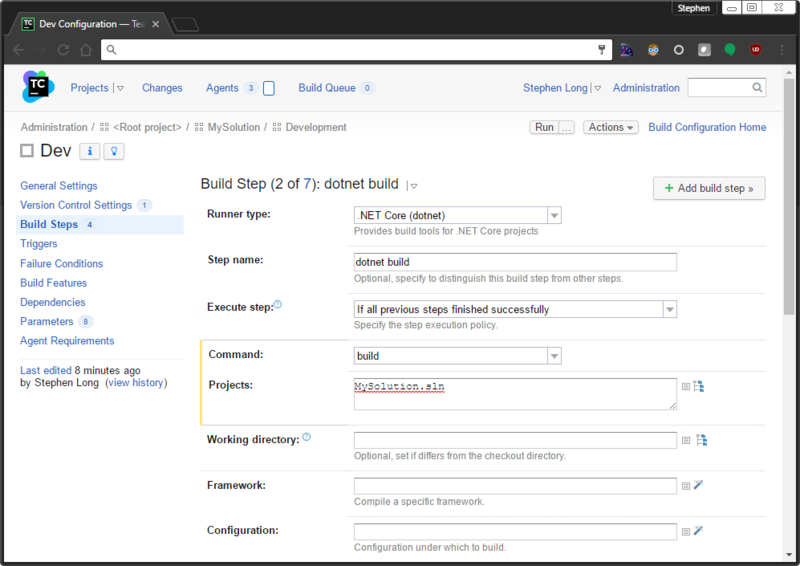 Within Team City, I configured these build steps using the .NET Core runner. You can see that all of these build steps are pretty straight-forward. The only thing unique is that I specify an output path for the dotnet publish. This is where things become more difficult, though. I attempted deploying the content folder using msdeploy. Regardless of the combination of switches, I couldn’t seem to get it to work. This lead me to thinking that having all of the output in a single folder was the issue. 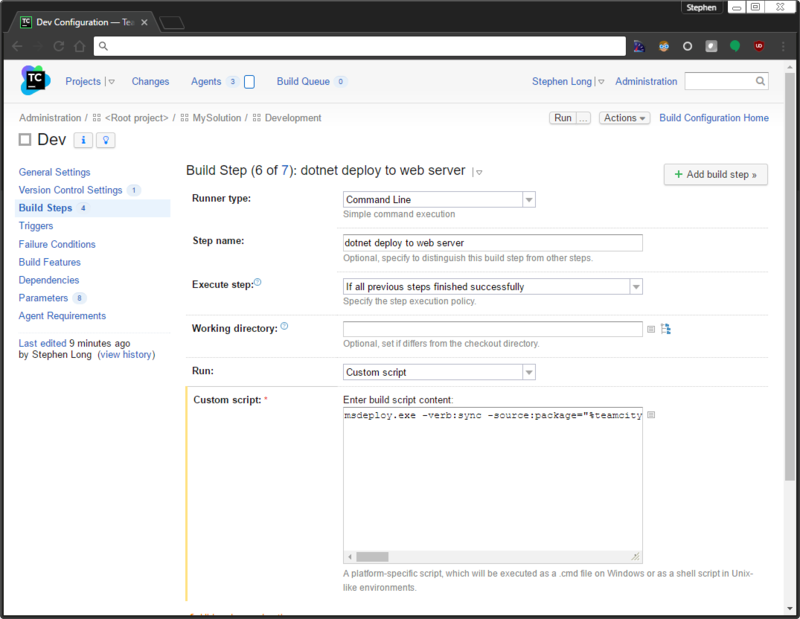 Typically, for most other deployments using WebDeploy, the output is packaged as a single zip file. The “dotnet” command line utilities do not support this packaging. 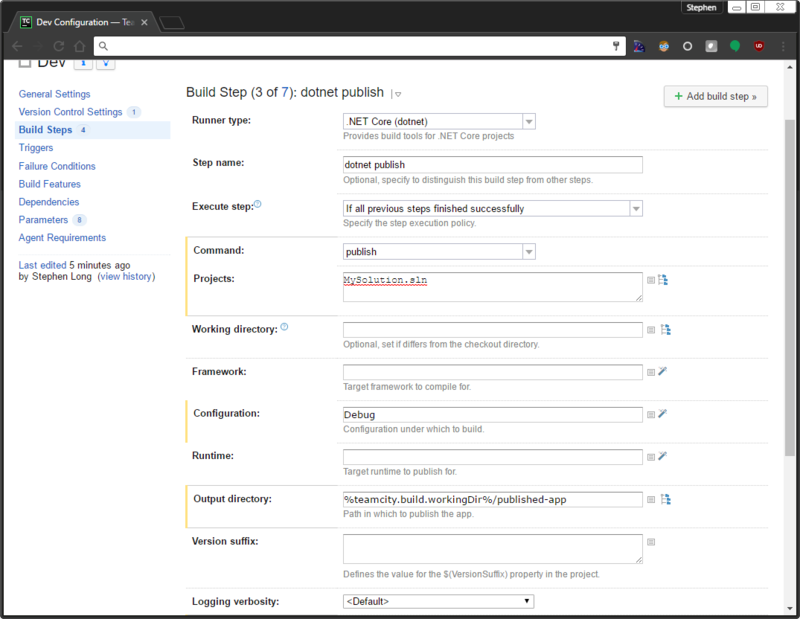 I took a step back and removed my build/publish steps and fell back to using msbuild directly. I knew that it could package the the output to a single zip. 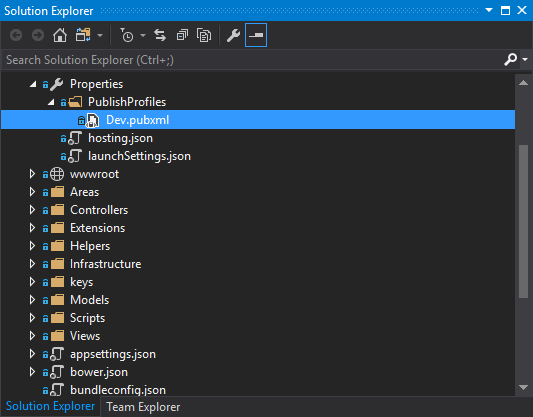 However, it did require creating a publish profile in Visual Studio. Using the “Publish Wizard” in Visual Studio, I added a Publish Profile and called it “Dev.” Publish Profiles are typically set to be ignored in my .gitignore, so I forced it to be checked in. Why is the publish profile needed? 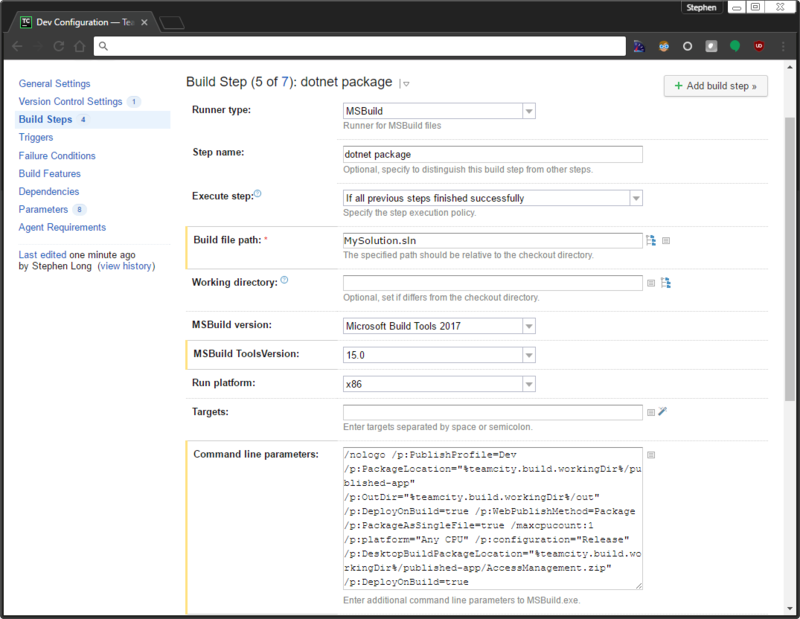 It seems that msbuild cannot create a package without a profile. I next added a build step in Team City that runs MSBuild. As long as we have a Team City parameter of “system.DeployIisAppPath,” the IIS Web Application Name will be used within the parameter file(s) that are generated in conjunction with the zip package. Initially, I kept trying to include the primary parameter file in my msdeploy switches, but found it was really unnecessary. The package itself will contain a parameters file. Using msdeploy, our final build step will deploy the package to our web server. The full command that I used is below. Even though I didn’t really have to specify the “IIS Web Application Name,” I went ahead and added the setParam switch for posterity’s sake. With these build steps in Team City, I can build and deploy my .NET Core application continuous.